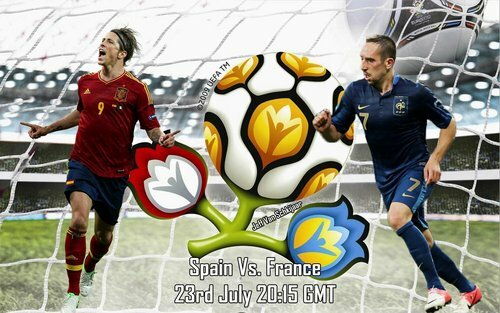 Spain play France on Saturday. Two of the most successful teams of recent times meet again. Where: Saturday June 23rd, Donbass Arena, Donetsk. These two have met twice in the European Championships recent history. In Euro 96 it was a late goal from the Spanish that tied the game. On that occasion the French topped the group with the Spanish second. They met again at the quarter final stage of the European Championships 4 years later, between which the French became World Champions. They went into the game as favourites and beat the Spanish 2-1. The roles are reversed this time, with current World Champions Spain now the favourites. If you were going to go with the history, it looks like Spain should win. Fortunately, things don’t always go to plan. Key Player (Spain) – David Silva. Spain still have all the possession. They still pass more than any other team. They press the opposition better than anyone else, meaning that they are never without the ball for long. However, these days, they don’t really look like scoring (not counting the game against the Irish). They seem to be lacking a cutting edge. They keep the ball, and keep the ball… and keep the ball. But unlike in the past when they had a certain missing man (or an in-form Fernando Torres) to score the goals, now they just pass for passing sake. The one player who does still look like he wants the team to score a goal is David Silva. His incisiveness, he has provided 3 assists so far, is much needed, especially if they once again play without a centre forward. Key Player (France) – Karim Benzema. The French striker hasn’t scored this tournament, despite having 12 shots on target. This can’t go on for much longer, and the striker had his best season yet in club football in winning the league with Real Madrid. If the France are going to go through, they need to do what Croatia failed. Put away one of the chances they create. Benzema will be the one tasked with that job. Missing Men (Spain) – David Villa. You’d think of a team with such talented players, that missing one wouldn’t cause too many problems, yet missing David Villa has impacted the Spanish. His scoring record at international level is incredible and he is the final piece of the tiki-taka-ing puzzle. Without him they lack that cutting edge. Missing Men (France) – Yohan Cabaye. Cabaye is a bit of an understated and underestimated player. France will be hoping for his recovery against the Spanish as he was needed against Sweden. He makes things tick in the centre of midfield, and wins more than his fair share of tackles (making more tackles per game than famed tackler Cheik Tiote at Newcastle). He even popped up with a goal, and could have scored one more against the Ukraine, he is vital for France’s game, and a France with Cabaye has more chance of beating the Spanish than a team without him. Prediction – The Spanish to have the majority of the ball, but not create many chances. The game could go either way, either the French attacking trio put away their chances, or the less than excellent back four of the French let the Spanish wear them down.